Exhaustive new review article on exoplanets. 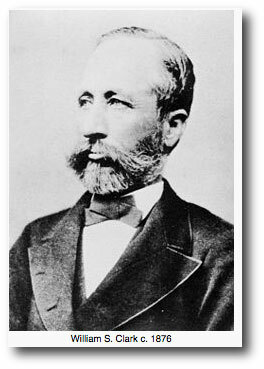 One tends to roll one’s eyes when the topic turns to Georges-Louis Leclerc, Comte de Buffon, the French encyclopedist and pre-revolutionary intellectual luminary. Buffon also speculated, in 1778, that the solar system’s planets were the result of a collision between a comet and the Sun, a hypothesis that is completely incorrect. Even in the 1750s, perturbation analyses (such as those carried out by Alexis Claude Clairaut in connection with the successful predictions of the return ephemeris for Halley’s Comet) had made it clearly evident that cometary masses are far smaller than planetary masses. Buffon’s Histoire Naturelle, which aimed to exhaustively cover all of the natural sciences, ran to 44 quarto volumes, eight of which were written and which appeared after he died, and all of which were out of date the moment they were printed. Even in the 1700s, scientific knowledge was accumulating so rapidly that it was impossible to keep up. Upon returning to the United States, and flush with the organizational successes and appreciation that he had garnered in Japan, Clark left his academic career, cultivated an interest in gold and silver mining, and embarked on an abrupt, ambitious, and ultimately disastrous foray into the business world. In 1880, he teamed up with a junior partner, John R. Bothwell, to found what might best be described as a 19th-century incarnation of a metals hedge fund. From offices on the corner of Nassau and Wall Streets in Manhattan, the firm of Clark & Bothwell acquired interests in a slew of silver and gold mines across North America, for which they assumed management and issued stock. 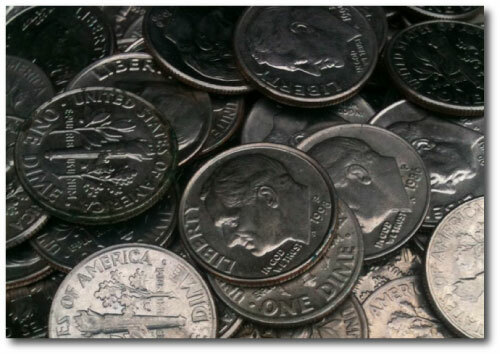 Clark, as president, got his contacts and colleagues to invest in the venture, and for a period during 1881, the stocks issued by Clark and Bothwell ran up into multi-million dollar valuations. A classic example of a bubble. 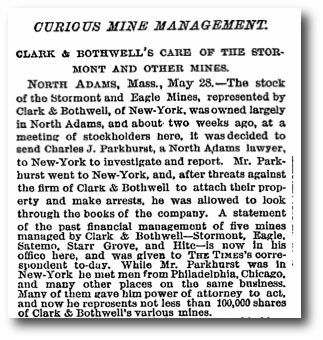 Clark travelled around the country, promoting the company, acquiring new mines, and seeing to their management, while Bothwell appears to have been responsible for back-office operations. Clark, who had no experience in finance, and little real knowlege of mining geology seems to have spun his wheels, while Bothwell, who had a shady history, actively mismanaged the companies. The operation got into debt, with the outcome being all too typically familiar along the lines of When Genius Failed. By the Spring of 1882, they were facing insolvency, investor lawsuits, fraud allegations, and various other problems. Bothwell disappeared on a train trip to San Francisco, never to be seen again, leaving Clark holding the bag. The story played out to the delight of the Massachusetts and national press. … it appears form the beginning that he, as manager of the mines has allowed Bothwell, as treasurer, absolute control of the books and finances of the several companies. It doesn’t appear that he ever examined the books, nor had anybody do so for him, or inquired into the financial condition of each mine, or what was being done with their profits; neither has he required from Bothwell such bonds as the latter’s position should require for the safe handling of moneys entrusted to him..
I’ve been putting the finishing touches on a review article covering extrasolar planets that will be posted to arXiv in a few days. The list of to-do’s involves updating the figures, including the one shown just below, which charts \(M\sin i\)‘s of the RV-sourced planets in dark gray and simple radius-derived mass estimates of the transit-sourced planets in red. The steady Moore’s Law-like progression toward ever-lower masses has definitively reached Earth-mass (not to be confused with Earth-like) planets. The process took up only two decades, and was among the more impressive scientific advances of the recent past. Here’s an elaboration of the above figure that doesn’t make it into the article, but is interesting nonetheless. On the y-axis is \(K/rms\), which is reasonably well correlated with the signal strength of Doppler velocity discoveries. One can certainly detect planets with confidence at low \(K/rms\), but it requires a large number of independent Doppler velocity measurements. The color corresponds to “astrobiological interest” — surely naive, and probably misplaced, but nonetheless quantifiable by my planet valuation formula. It feels increasingly awkward and embarrassing to read LaTeXed, peer-reviewed articles that quantify and delineate the habitable zone — the special region surrounding a star that is invariably (and rather fittingly) linked to a particular fairy tale from the Brothers Grimm. Evolutionary psychologists have speculated that the concept of the afterlife might be inextricably entwined to the evolution of the mind’s ability to reason about the minds of others. A rational world view, however, frustrates ingrained atavistic yearnings and a belief in the supernatural. Habitable planets provide a respectable stopgap to assuage the discomfort of these incompatible poles. Could it be a mere coincidence that the ancient Greek and classical depictions of Elýsion pedíon, the Elysian Fields, are part and parcel the very image of the habitable zone? The submerged summit of the Detroit Seamount ranks among the planet’s gloomiest spots. East of Kamchatka, a mile beneath the waves at 51 51′ N, 167 45′ E, it is second-to-last in the long line of Emperors. Inch by inch, it creeps toward destruction in the Aleutian Trench. Detroit’s glory days were the late Cretaceous. Back then, it was an active Hawaiian volcano. Live it fast, you’re gonna there soon. Kauai is five million years old, but underground, the lights have gone out. Over half of the original height and the original land area have disappeared. Rivers gush sediment into the sea. Waimea Canyon juxtaposes verdure and an erosive wasteland. Four wheel drive claws and rends the red dirt. whose resemblance to a sinking ship is not just metaphoric. Before humans arrived, the Hawaiian islands had strange flightless birds. Indeed, each island in the chain developed its own odd avian inhabitants, sculpted by natural selection, and then driven conveyor-like to extinction. Not once, in forty, fifty, sixty tries, did the birds respond by evolving intelligence and doing something about their situation. Probably, there was never enough time. Or perhaps, that’s something that rarely, if ever, happens. Millennium Park in Chicago is a remarkable place. Skyscrapers shoulder together and soar up steeply to the north and to the west. The vertiginous effect of their cliff faces is reminiscent of Yosemite Valley. Lurie Garden is at the center of the park, and is given over largely to native plants that carpeted the Illinois landscape in the interval between the retreat of the glaciers and the advance of the corn fields. In the silence of a photograph with a narrow field of view, it is as if the city never existed. Restore the sound, and the the buzz and hum of insects are superimposed on the wash of urban noise. A swarm of bees, algorithmic in their efficiency, and attuned to the flowers’ black light glow, collect the nectar. 55% sucrose, 24% glucose and 21% fructose. When viewed in microwaves and millimeter waves, say from 1 to 100 GHz, the Millennium Park scene displays a similarly jarring juxtaposition. The sky glows with the ancient three degree background radiation — the cosmic static of the Big Bang explosion — subtly brightest in the direction of the Virgo Supercluster. All around, the buildings, the roads and the sidewalks are lit up with manically pulsating wireless transmitters: routers, cell phones, myriad sensors. In highly focused 6 GHz and 11 GHz beams, billions of dollars in coded securities orders streak above the urban canyons on line-of-sight paths linking the data centers of Chicago, Aurora, and suburban New Jersey. The fastest path of all runs through the top of the monolithic Aon Tower, where the signal is amplified and launched onward across the Lake and far into Michigan. The microwave beams are a new development. In mid-2010, price movements at the Chicago Mercantile Exchange generated reactions in New Jersey nine milliseconds later. The signals traveled on fiber optic cables that meandered along railroad rights-of-way. Now, the messages arrive within a few microseconds of the time it would take light to travel in vacuum, galvanizing the swarm of algorithms that are continually jostling and buzzing in the vicinity of the match.